By itself with nothing else around, it’ll do just fine as a light and casual sipper. It chips along easy, dances pretty around your palate, and has delicate notes that are quite enjoyable. In conjunction with others, it kinda chokes. This review has been sitting, waiting, gathering dust, for many months now, and the bullet, so to speak, had to be bitten. If I had never tasted a raft of rums from around the world the day the Richland crossed my path, I might have liked it a lot more. But what did happen is that my friends and I did a deep field sample of maybe fifteen rums in a six hour session, and this one suffered in comparison. Not so much because it failed in and of itself, but because during that extended sampling exercise, it was compared with and contrasted to many other rums…and that really allowed us to get into it in a way that more casual imbibers probably wouldn’t. And sank it to the bottom of my pile. It’s a US entry into the agricole world, distilled from locally grown sugar cane rendered down into “honey” in a copper pot still, aged around four years or so in charred American oak barrels, bottled at 43%, and on that basis it certainly has all the proper boxes ticked. Fascinatingly enough, future plans are to have each bottle numbered so the exact barrel from which it came is traceable. I refer you to Dave Russell’s in-depth essay on the rum (which he liked much more than I did), which saves me the trouble of regurgitating it all here. One surprise – are there really no other rum producers in the USA who use a pot still and sugar cane honey in a single pass? Surprising, but interesting all the same. Kudos. 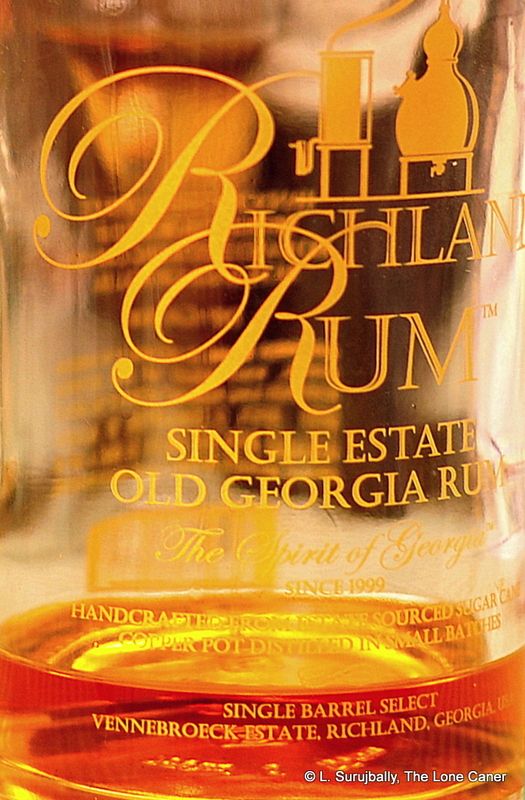 Now, nose and taste wise, the rum, a gold one, was pretty good: easy-going, delicate, light and very sweet. Behind a rather surprising rubber opening smell, lurked the florals, a lot of them. It was like being in an airconditioned flower shop just after a delivery came in, redolent of lavender and perfumed soap and shampoo (I guarantee, no other reviewer will mention that), 7-up and bubble gum. It tiptoed around the nose, and other, equally light notes of sugar water and lemon grass and a little vanilla, coconut, came through. Sipping it resolved some issues, created others and circled back to the original. The nose did provide the promise of some complexity but the palate didn’t deliver quite as much: it was warm and more basic, and the hint of agricole-profile that might have been expected was not distinctively there. What indeed it tasted like was an uneasy mixture of bananas, sugar water and air-freshener, mixed with potpourri and cooking herbs (dill and rosemary) and even a stick of licorice. After some time the sweet took a back seat, some tartness of apples and oak took over, caramel and vanilla and smoke became more readily discernible, to dominate the rest of the extended tasting. And underlying it all, throughout the session from start to finish, that travelling-bag scent refused to go away — although honesty compels me to admit I was the only one who seemed to notice it. Thank God it was faint. Finish was perfectly serviceable, warm and not too spicy, more rubber, more air freshner, more flowers, more vanilla, more oak…and if that doesn’t sound pleasing, well, it was, quite light and airy and melded reasonably well. Cutting to the chase, my opinion is that it’s decent, without being particularly spectacular. The taste is an uneasy marriage of competing individual notes that hearken back to almost different profiles altogether, like a sharp agricole trying to be a Bajan. Doesn’t really work. Plus, over a long time, going back to it every half hour or so, the metamorphosis from light and tasty sipping rum into some weird sweet air-freshener-like liquid also sank it for me. It may be a batch thing, since this is a pot still, small batch artisinal rum, and some variations of quality are to be expected. Comparison might be the key here. Taste it alone, you’re fine. You’ll like it, as long as light-bodied, unaggressive tamped-down 40% agricoles are your thing. 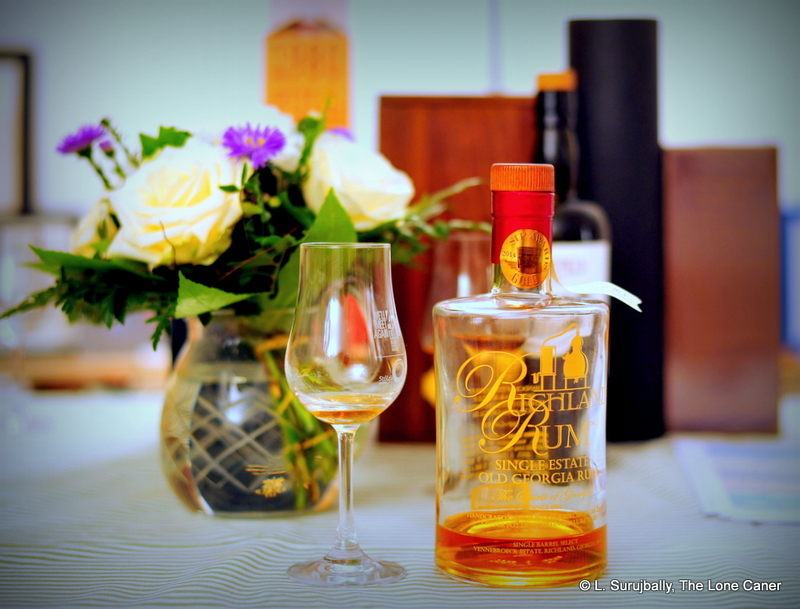 Try it as part of an extended range of good rums, let the thing stand and aerate for a while, put aside any preconceived notions and you’d be surprised how much changes in both the rum, and your estimation of it. In my case, that wasn’t for the better.